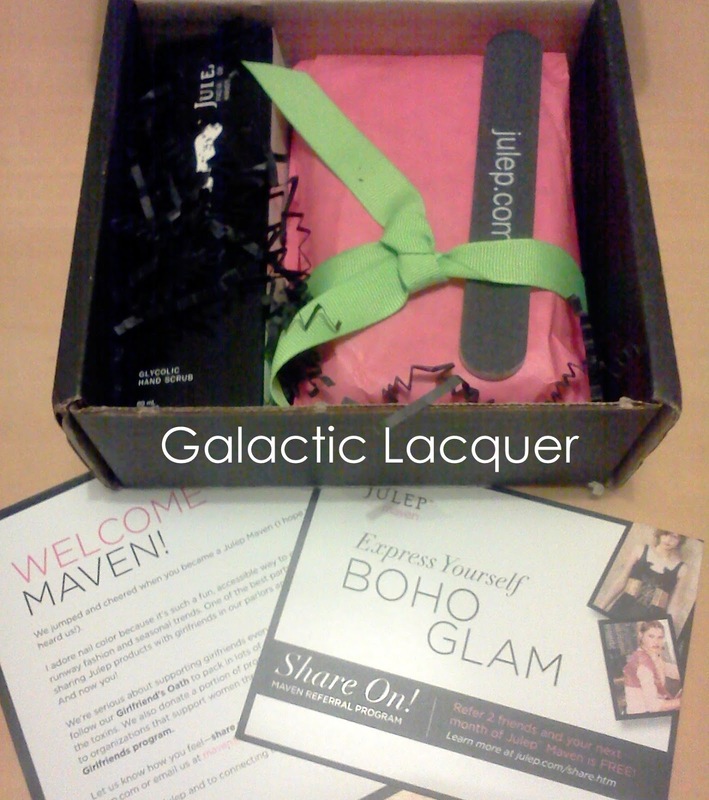 Galactic Lacquer: I received my first Julep Maven box! 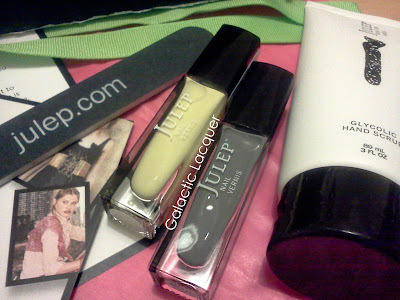 I received my first Julep Maven box! So I got my first Julep box in the mail. I'm now a Maven, so I get free shipping on future boxes too! Right now I'm unsure if I'll stick with it, mostly due to the steep $20 per month price tag. But I will keep my account active and just keep "skipping" months until I see something I just can't live without! I got this whole box for just 1 cent! It was part of their promotion to try their products and service. I took the initial quiz that everyone takes, and my result was American Beauty. I did like the colors for that set this month, but I was in need of a gray polish, so I went with the Boho Glam box instead. I had been eyeballing Essie's Chinchilly for a nice gray, but it's $8. However, trying this whole box was just 1 cent! And it was packaged super cute too, with black paper "Easter grass" as I call it, and the polishes wrapped up in pink tissue paper with a green ribbon. 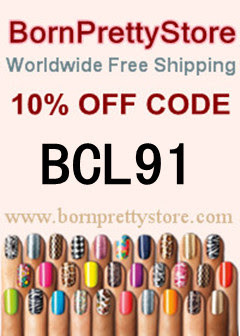 As far as the products go, there are two polishes: pale yellow and gray. The yellow one is called Blake, and is described on the Julep website as "sunny yellow. Creamy and buttery yet fat-free." The other color is gray, which is named Meryl, "the perfect neutral, sophisticated gray creme." I also got a Julep nail file, and the big tube of apricot hand scrub. It smells amazing, and it leaves my hands feeling super soft! I've only used Blake so far, but I can't see Meryl being a let down. The quality is pretty nice, and it applied rather smooth. I used two coats of Blake on my toes to test it before Easter, and put Lac Attack's Jewel of the Nile over it to be extra festive and colorful. The colors that you got in the box are so pretty! I do the same thing with my maven subscription. I got the first month really cheap and I haven't been able to bring myself to spend $20 on any of the months since! Thanks! I quite like these colors :) though it was a hard decision still... The one with an orangy-coral color and a gold sparkly polish was my second choice! But I hear you.. I'm currently job hunting, so that's why I'm not promoting any giveaways for like 30 or 50 followers. I set it at 100 so I have some time to work things out! Of course, if I get some more expendable income, I'll lower it and giveaway much sooner :P and then *maybe* I'll be able to do a month or so now and then with Julep too! I got my Essie polish from Cosmo!